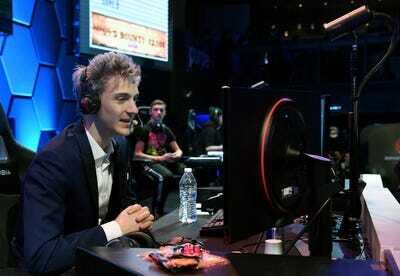 Tyler “Ninja” Blevins, a pro streamer on Twitch and the most popular “Fortnite” player in the world, says he doesn’t play with female gamers. Blevins’ decision has sparked a larger discussion within the gaming community. That’s what “Fortnite: Battle Royale” streamer and ex-professional e-sports player Tyler “Ninja” Blevins told Polygon last week. Ninja owes much of his mega-fame to the Amazon-owned livestreaming website Twitch – where, as he rightfully points out, rumours spread quickly. In the same way that many YouTube stars have risen to fame by chronicling their personal lives for strangers to watch, it’s not uncommon for Twitch stars to over-share with their audiences, and fans are often more than eager to know the intimate details. After Blevins’ comments went viral, Ninja’s no-girls-allowed policy inspired a wave of backlash on social media that lasted through the weekend. When the dust had settled, it was clear that Ninja’s comments raise tough questions about the importance of inclusion in gaming culture, and the cost of internet fame in the modern social media-centered world. I am not blaming Ninja for trying to protect his family. But going into an interview, in front of an audience of millions, and saying Women are Not Allowed in My Gaming Space is wrong. It’s keeping women and men segregated in gaming space. It’s Not Okay. Meanwhile, some of the most prominent women streamers have come out on social media in support of Ninja’s decision. Ninja's choice not to game with female #streamers doesn't lessen my place, or any other woman's, in the gaming community. Who he does or doesn't play with does not affect me, my community or my journey. Women are still pillars in gaming. It feels relevant to note that of the female streamers and content creators I reached out to while writing this story, several declined to comment because they hoped to avoid “targeted” online attacks from Ninja’s supporters on social media. Besides being a reflection of the casual sexism that exists on Twitch, Ninja’s comments have also inspired some troubling questions: For example, what’s more important? Ninja’s desire for privacy, or improving the platform that he is now synonymous with? “The thing to remember about creators is that their authenticity – their willingness to be open, share personal stories, offer their opinions, communicate with fans directly, that kind of thing – is their biggest strength,” said Megan Farokhmanesh, an internet culture writer for The Verge, told Business Insider in an email. What we know is that social media, including platforms like Twitch and YouTube, has redefined the modern understanding of fame and celebrity. And while the pressure to be open with strangers obviously doesn’t excuse the writing off of an entire gender, it is certainly enough to spark an understandable amount of fear and, in turn, result in some ugly – however unintentional – divisiveness.